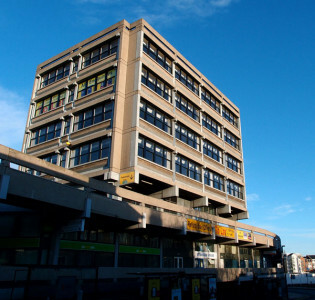 The Press reported today that City of York Council are considering buying Stonebow House. It also reported in the same piece – or rather repeated, as it’s been highlighted before – that the future of the Reynard’s Garage (Airspeed) building will also be discussed at the same meeting. More on that shortly. We passed Stonebow on our Christmas day walk, and it looked better than in usually does, lit by bright winter sunshine and against a blue sky. Many York residents still think that it’s a listed building. It isn’t. That page of mine is the most popular on this site today, but there’s always been a lot of interest in this building. A lot of loathing, but also a little bit of love. Particularly loved are the music venues (Fibbers and The Duchess) occupying parts of its lower levels. So it’s not listed, but perhaps those who admire the building will want to enquire about getting it listed, as I don’t think the council have bought it because they love it and cherish it. Could they, would they, demolish it? 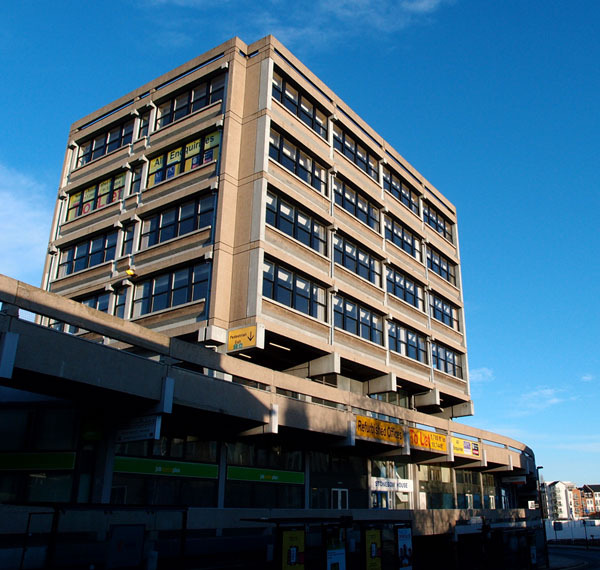 Could they demolish just the office block perched on its top? I’m sure I read somewhere that this wouldn’t be possible because of the way the building is constructed, but not sure how true that is. I’m wondering if we’re going to see a campaign group start up, if demolition is threatened. Save our Stonebow? SoS?